Thank you very much, Beverly; such a nice compliment. Thank you very much, Joy. I am also quite fond of them. Thank you, Robert, for featuring "Vintage Iris" in your fine group FAA Featured Images. Thank you, Jim, for featuring "Vintage Iris" in your group COMFORTABLE ART. And I am honored to be in your group. Thank you, Sharon, for featuring "Vintage Iris" in your group BEAUTIFUL FLOWERS. 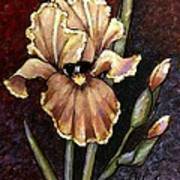 Thank you, First Star Art, for featuring "Vintage Iris" in your group: BEIGE BROWN SEPIA. 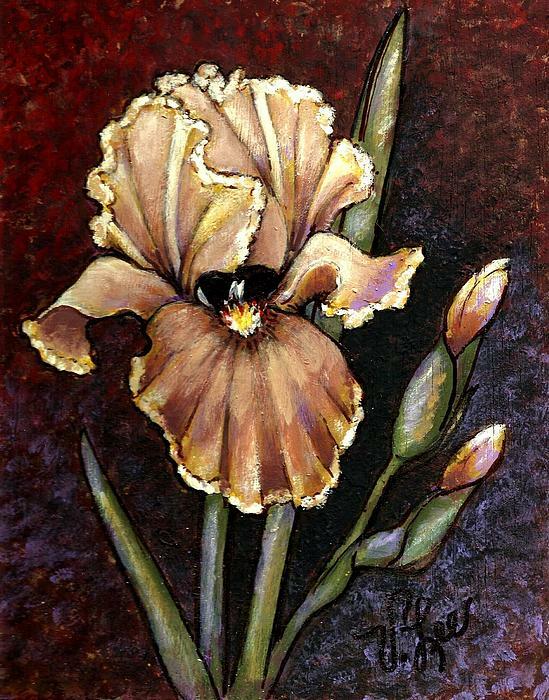 Thank you very much, Eileen, for featuring "Vintage Iris" in your group. I am also honored just to be in your group. 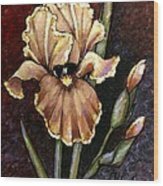 This vintage looking iris is also referred to as a 'touch of mahogany'. This frilly lovely specimen is a creamy beige on top with golden highlights and localized lavender shadows. The bottom petals are a bit darker shaded in nutmeg and light raisin. The background is textured with various shades of brick and highlighted also with lavender.